I'm not big on New Years Resolutions. They tend to be short lived and lead to feeling like a failure. Yes, I do plan on exercising more, eating better and generally taking better care of myself in 2016 - but honestly I tend to think that every day not just because it is suddenly January 1st. Each year I try to pick a theme word to focus on for the upcoming year. Even if I just spend a few days or weeks on it I count it success. Last year's word was TRUST. I think I did a good job with trusting more. I gave a lot of TRUST over to God. With the pregnancy, having a baby, several layoffs with no income. I trusted the Lord to take care of our needs and he did that and more. 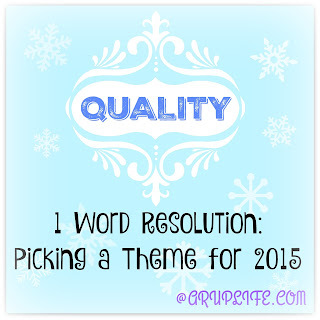 This year's word is QUALITY. I'm not perfect and these past eight weeks have shown me a lot of my personal flaws. It also put into perspective what is a true priority. I really think QUALITY will help keep that all in focus for 2016. 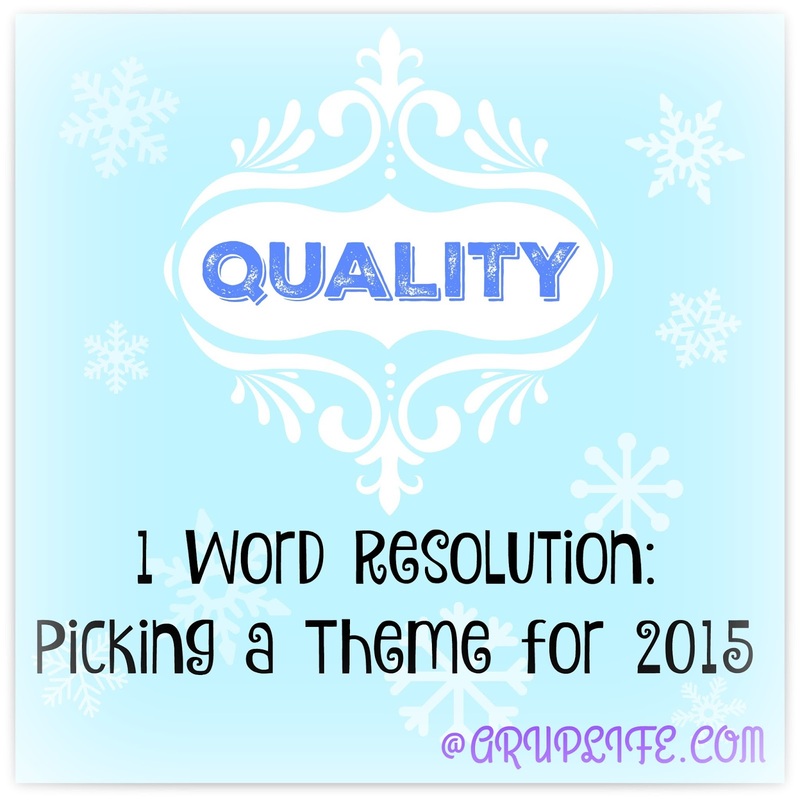 Did you pick a theme for 2016? Praying for you as you focus on quality time with those you love most.